Clarisse asks Montag, “Are you happy?” (Bradbury 10). He immediately thinks “Of course I’m happy.” After contemplating this question further, he realizes that his answer may not be so simple. 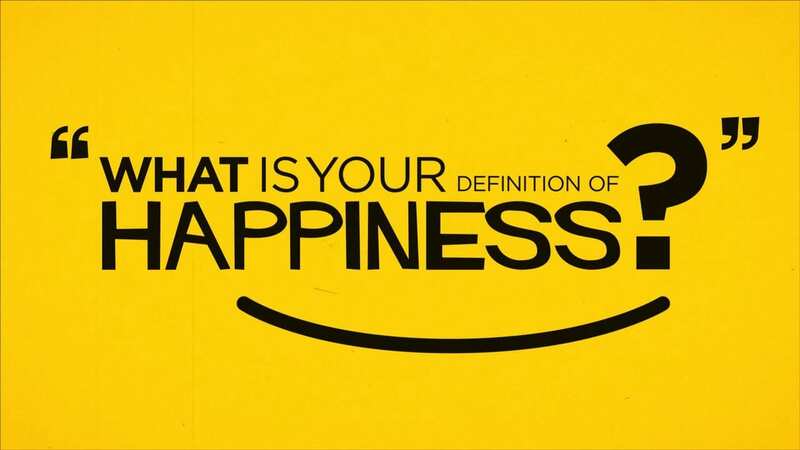 How would you respond if someone asked you, “Are you happy?” How do you define happiness? What makes you happy in life? What impedes (or obstructs) your happiness? Is a state of happiness something you continually strive for? Post your response using your first name and last initial. Then read the responses posted by your peers. Reply to at least one other student, complimenting strong points, asking questions and building on ideas shared. 13 Responses to Fahrenheit 451: Are You Happy? I define happiness as a feeling that one gets when they do something that they enjoy in life and or when something good happens to someone and they just get this overwhelming feeling where they just cannot stop smiling. What makes me happy in life is my family, dance, and my friends. My family makes me happy because they are always there to support me whenever I need and they also encourage me to try harder and harder which makes me happy knowing I always have someone there to help push my limits. Dance is another thing that makes me happy. The joy I get while dancing is something words cannot even express. Anything in the art field, especially dance makes me feel like I can achieve what I put my heart to which makes me feel good and a sense of confidence and satisfaction . My friends also make me feel happiness as well. Not once do they ever fail to make me laugh, smile, and have a great time when I am with them, which is one of the best things you could ever have because you know that feeling of happiness will never fade when you are around them. One thing that can break down my happiness is myself. I get so hard on myself, especially in school because I always make myself think that I could do better and that I am never enough. Another thing that degrades at my happiness is the digital world. Seeing people being bullied online as well as staring at the news on TV and seeing such traumatizing things going on with people just really gets to me. No one should ever feel uncomfortable with their own skin and be afraid of going online its just wrong and really kills my happiness when I see people hurting themselves because of it and everything associated with a screen. Happiness is something I strive for everyday because when I feel happy, it makes my whole day better maybe even my entire week and that happy feeling is something I want to feel for the rest of my life and I will do whatever it takes to receive those continuous feelings for a lifetime. I agree with Taylor’s last point that a constant state of happiness is great because it is contagious and it makes an entire day or week better and it just rubs off onto everything you do. Your body feels better and your performances improve in everything. Happiness is so powerful it even can rub off on the people around you, which I find incredible. I forgot to mention if someone asked me If I was happy I would say yes, because I may not be happy every second of the day but there are many times where this happiness feeling comes out of nowhere and surprises me which is something I live for feel a lot so for the most part I am happy especially since I have such great people surrounding me in my daily life that they just make me happy without even realizing it. I agree with Taylor A. Like most people, I also do not feel happy every second of the day, but there are times when I am really happy and that feeling is something that I enjoy and for which I strive. I also have great friends and peers who lift me up and help me feel happy. I forgot to mention if someone asked me If I was happy I would say yes, because I may not be happy every second of the day but there are many times where this happiness feeling comes out of nowhere and surprises me which is something I live for feel a lot especially since I have such great people surrounding me in my daily life that they just make me happy without even realizing it. If someone were to ask me “Are you happy?”, I would respond “Yeah, I guess.” Like most people, I do not feel constant happiness. I have bad days where I feel badly about myself, my life, and sometimes I just feel nothing. But when I do not feel that way, which is most of the time, I feel blithe and euphoric, and glad to have the life I have. I do not know how to exactly define happiness since I believe happiness is something that people often feel or do not feel, depending on the day. 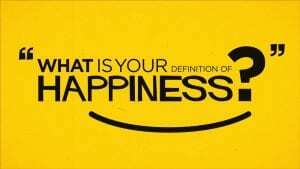 I would define happiness as a feeling of content and enjoyment that one has in their life for a majority of the time. What makes me happy is hanging out with and being around my friends and peers, listening to music, dessert-scented candles, and looking at expensive hotels and resorts online. Things that impede my happiness include my sometimes pessimistic outlook on life, overthinking things, and thinking about the world in which I live that has so many problems that I can not do anything to fix. I do continually strive for a state of happiness because when I am happy, I tend to want to make other people happy and treat people more nicely than usual. I also feel more enthusiastic and adventurous about things I am doing or want to do. I agree with Gabi P. Being happy really does make me want to share that happiness with others. When I feel content, I want to help others around me and allow them to feel the same way I do. Feeling happy makes me strive to improve my own life and the lives of those around me. If someone asks me if I was happy I’d immediately respond yes without thinking about it. To me it’s the same thing when someone asks how you are, you always so good or fine never telling them how you really feel. Happiness can be defined as something that puts a smile on your face or gives you this exciting feeling in your stomach. A lot of things make me feel like nothing else is going on around me or I don’t want a moment to end and other things rain on that parade. Two main things in my life make me the most happy: the people I surround myself with and sports. If you are going to be spending time with people you want them to be special and they have to be able to put a smile on your face. My friends and family definitely are special and make me happy, whether it’s something little or extravagant. Even if it is just laying in a room watching a tv show or going out to eat or going to a party, they can always make me feel good. Sports, like soccer and cheerleading also make me happy. Running down a field or being tossed in the air always gives me this rush of adrenaline and excitement like nothing else. At the same time, these things and school can also obstruct my happiness. Some people’s negative energy can always put a person down quickly and sports can be really frustrating if something goes wrong or you are having a rough day. School also can be frustrating balancing a work load with other things going on outside of it. Constant happiness is definitely something I strive for, but I also know it’s impossible because nobody is perfect and sometimes you can just have a rough day, which is out of your control. It would be nice to be constantly happy, however sometimes you need to let your other emotions show so that when you are happy you are grateful and never want the moment to end. I agree with Gabbi L that happiness while it would be nice to have at all times, their are going to be moments when you just need to act true to the situation and not try and change your feelings towards it. I have never been tossed in the air though it would seem like a cool experience, I would be a little worried of my landing so I don’t know how happy it would make me. Happy moments and events happen to us all throughout life, bringing us lots of joy and good feelings. If someone asked me “Are you happy?”, my honest answer would probably be “Yeah, I am” While life can be difficult and I’m not always in a good mood, I think I’m generally happy most of the time. To me, happiness is the overwhelming feeling of joy you get out of life when you are doing something you love, or are around the people you love. Some things that make me happy are listening to music, running, and hanging out with my friends. Most often, my own attitude is what keeps me from being happy. I tend to let my negative and anxious thoughts spiral out of control which sometimes prevents me from being happy. School is also often very stressful and does not always make me happy. However, being happy can’t always be the number one priority in life. I know that I need to work hard in school so that I can have better opportunities in the future. In Fahrenheit 451, the people were so focused on short term happiness that they lost touch with the world around them. I feel that sometimes you need to sacrifice your own short term happiness in order to improve your life and the lives of others, which will actually make you more content in the long-term. Being completely happy all the time is unrealistic but I do strive to be a little happier every day. If someone asked me if I was happy I’d say of course. I have a great family and group of friends, no real financial issues, and am pretty healthy. I wouldn’t have a specific answer for how to define happiness if someone asked me. Happiness is the feeling of joy and excitement, when you just never want that good time to stop, or you can’t stop smiling. Whenever someone’s like this, filled with such joy, I would describe it as my own definition of happiness. Winning is a big reason for my happiness. It doesn’t matter if I’m winning a section title soccer game, or just the race to the front seat of the car. Whatever it may be I’ll always be happy winning. My crazy dog, Pepper, also really makes me happy. Whether its coming home after a long day of school and hearing her run down the stairs or her jumping up on my bed waking me up with never-ending licks. She can put a smile on my face no matter the time of day. When you have a coach or parent yelling at you for every little thing, there’s no way of being happy. Missing a tackle or having to take out the garbage and not doing so aren’t very fun and will always impede on my happiness. I don’t strive for complete happiness, because ups and downs are going to come into my life everyday. Of course if its a good situation I’ll be happy, but if I’m upset or stressed, I’m not going to try and change those into happy situations. I would always rather be happy then sad or upset but that can’t always be the case and I won’t make it my mission to do so when I likely won’t have any say in how the situation turns out. I agree with Adam C, happiness is hard to define. There are many ways to describe happiness and not everyone feels the same way. People may experience happiness in different ways. For example, an athlete may become happy if they win a big game, whereas an actor may become happy getting the role they wanted in a play. Happiness can vary depending on the person. If someone asked me if I was happy I would say yes. I am very happy right now with the way my life is going and how my futuring is shaping up to be. I would define happiness as being satisfied and content with life. Everybody has their ups and downs; one might not always be in a good mood or they could be having a bad day but that doesn’t necessarily mean that they aren’t happy. Some things that make me happy are animals (especially my dogs), lacrosse, being with my friends, and success in school and sports. There are many things in life that can impede my happiness like, bad grades, not feeling well, losing games and getting into arguments with family and friends. A state of happiness is something I constantly strive for. I never like being sad or having a bad day so I genuinely do whatever I can to change that.